Are you one of those people who is still wary about health insurance? Then it is probably because you are still unsure of how it works! We have put together a few basics to help you understand what exactly a health insurance is, what you need to do in order to avail a health insurance and how a hospital goes about processing an insurance claim when you choose to pay for a medical treatment with the help of the insurance. This should help demystify health insurance for you and help you with your decision to opt for an insurance policy. What is the purpose of a health insurance? A health insurance is like a backup plan, an investment that you dip into, just in case you fall sick or meet with an unexpected accident. You invest in a health insurance, slowly and in small amounts, because it will be difficult to pay a large sum for an expensive treatment you did not anticipate. How to avail a health insurance policy? It all starts with you choosing a health insurance company, and then selecting a plan/policy from a range of them provided by the company. This decision has to be made by assessing a number of factors including reliability of the insurance company, type of policy (individual/family), its specific provisions (what kinds of treatments it supports), how much you are willing to invest, and how much cover you think you require. Total sum insured: The total amount you are eligible to receive from the insurance company for treatments throughout the year. Deductibles: A fixed, pre-decided amount until which you are expected to pay for your own medical treatment. The insurance company begins to pay for your treatment, only after you have finished paying this amount for treatment. Copayment: A fixed amount which will be your share to pay while availing treatment. The remaining amount is paid by the insurance company. The copayment amount is variable for different kinds of treatment. Coinsurance: Coinsurance is, again, your share to pay for a treatment or healthcare service. Usually, this is a percentage of the total amount incurred for the treatment. When you begin to pay a monthly premium, you become eligible for medical treatment. However, in some specific cases, such as when you have a pre-existing disease (a disease you knew about before you enrolled for the insurance plan), there may be a waiting period ranging from a few months to a few years. What happens when you go in for treatment with a health insurance? If you want to use your health insurance cover for a medical treatment, it is best to choose a hospital that is listed as part of your insurance company’s network. A list of network hospitals is usually included along with your policy documents. When you register at the front desk of the hospital, you or your family member must inform that you plan to use your insurance cover. You will be directed to the insurance desk, where you will need to provide the details of your insurance company, policy and policyholder number. The hospital insurance desk will use these details to contact the third-party administrator (TPA) which the insurance company has hired to manage their claims, or the insurance company directly (in case they have an in-house claims management team). At this point, a pre-authorisation request is sent to the TPA by the hospital. 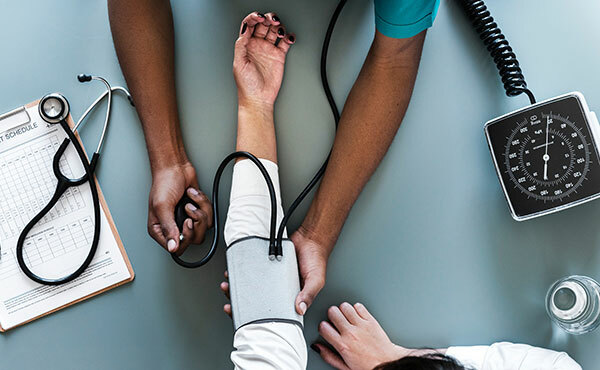 A pre-authorisation is a decision by your health insurer or plan that a healthcare service, treatment plan, prescription drug or durable medical equipment is medically necessary. It is a decision that depends on your policy, and also assesses what procedures are covered and for what amount. Once the pre-authorisation request is approved, you are admitted in the hospital. If the treatment plan changes during the course of your hospitalisation, the TPA will be contacted once again by the hospital’s insurance desk for an enhancement. During your discharge from the hospital at the end of your treatment, you will be required to submit all relevant medical documents at the insurance desk. The insurance desk, in turn, submits these documents to the TPA. The TPA then approves the treatment amount, wholly or in part, depending on the policy terms and your eligibility. If the whole amount is approved, then you will be discharged immediately; if only a part of it has been approved, you will need to pay the remaining amount before being discharged. The TPA then sends a settlement letter and credits the amount to the hospital. How does the insurance company pay? When you start paying your monthly premium, you become a member of a larger group of people who are all doing the same. Since a large number of people pay to the insurance company, the company is able to provide when you or another member has a need for medical care. Thus, everyone’s combined payments cover everyone’s cost for care. Want to know more about health insurance and how to go about making a claim? Our article on Health Insurance Claims: The Basics may provide the answers.